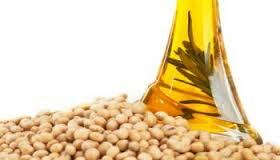 Ref.Soya oil trading range for the day is 775-795. Ref soyoil ended with gains tracking firmness in spot demand and other oilseed counter. Moreover, higher import duty and increase in tariff value during the current calendar year will make imports expensive. According to data by SEA, soy oil imports in February were at 133,787 tonnes, down from 251,740 tonnes a year ago. At the Indore spot market in Madhya Pradesh, soyoil was steady at 762.85 Rupees per 10 kgs.